By 2080, 80% of the world’s population is expected to live in cities. The increasingly complex challenges that cities face such as insufficient housing, air pollution and rising inequality demand solutions that are dynamic, systemic, and collaboratively developed. In partnership with MIT’s Presencing Institute and the BMW Foundation, a unique initiative is piloting in six Impact Hubs spanning four continents, united in their vision of more inclusive cities. Communities for Change brings together changemakers from diverse pockets of participating cities for an 8-week innovation journey. 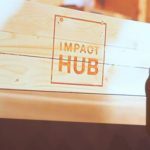 Impact Hub Shanghai is working in partnership with local institutions and citizens to develop solutions toward reducing China’s urban and rural economic divide. Local programs benefit from links across Impact Hub’s global network, whose collective purpose is to enable people to take entrepreneurial action for positive impact. Participating cities stay connected throughout the program, empowering the global exchange of practice and knowledge. This project stands out for its ambitious approach. 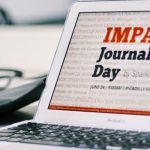 Many Impact Hub members will be familiar with the Presencing Institute’s powerful awareness-based systems change methodology: since 2015 Impact Hub and the Presencing Institute have partnered in delivery of the online u.lab course in 45 cities around the world. With Communities for Change, a tailor-made curriculum rooted in u.lab methodology has been designed specifically to engage cross-sector changemakers around a shared challenge. 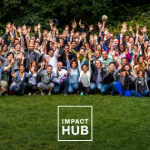 At the forefront of building communities for impact and co-creating solutions to global challenges, the global Impact Hub network is a natural home for the multi-city Communities for Change pilot. The program will, in time, be available to all Impact Hubs as a blueprint for cultivating social innovation locally and across cities. Find out more about the Communities for Change program here.